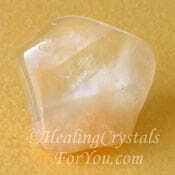 Petalite is an extremely high vibration stone, yet has a smooth balanced energy. Using it allows you to make a deep connection to the spiritual realm. In the past been it has been used as a talisman, and was believed to destroy all black magic or other unwelcome forces. 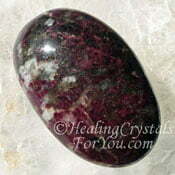 It is a powerfully protective stone, as it will not allow negative energy to remain in is vicinity. 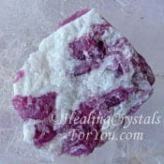 It also has a number of excellent healing attributes including helping to relieve stress. It has powerful qualities that aid the development of clairaudience and may help you to hear the voice of angels and spirit guides. 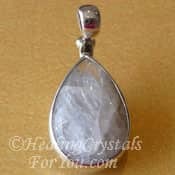 The Petalite meaning relates to the Greek word meaning 'a leaf' which refers to the cleavage of the stone. 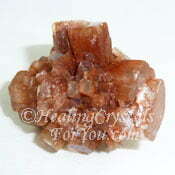 It is a crystal that is reasonably easy to obtain and should be able to be bought at most good crystal shops. This stone has been found in quite a few locations, including Afghanistan, Australia, Brazil, Namibia and Sweden. 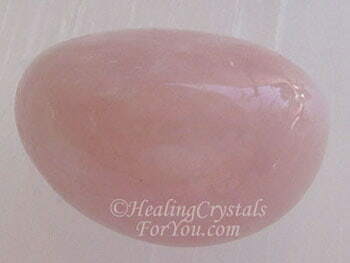 It's color may be pink, colorless, gray, white, greenish white or yellow, although the pink stone is the most common. The transparent variety of the stone is called Castorite. 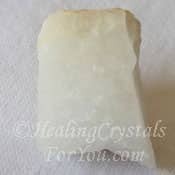 The high crystal energy of any color of Petalite has a gentle yet intense vibration that will elevate you to a special place where you may enjoy a sense of quiet peace and healing. There you may allow your concerns and worries to slip away, as it is a crystal that will beautifully and gently heighten and increase your awareness. 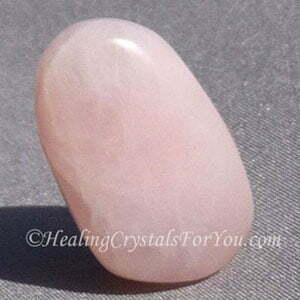 Clear Petalite also known as Castorite is lovely as it brings clarity to your thoughts, and the pink variety is a heart chakra stone of the pink ray. 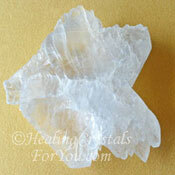 Shop for pieces of Petalite at Exquisite Crystals, my most reliable crystal seller. The common sensation is a feeling of being able to access the Higher Realms. There you may begin to make a connection with the angelic kingdom and more easily make contact with spirit. Your meditation journey will be aided by its high sweet vibration, as it elevates you up into, and beyond the soul star chakra. It is one of a group of high frequency stones, and it is said to be a stone of manifestation, as it will assist you to bring into your life the visions that the journey has shown you. When you arrive at the realm of pure white light, you will enjoy the wonderful sense of deep calm and joy it brings. As you allow yourself to enjoy the heavenly rapture you may connect with angelic beings or even make contact with your spirit guides! They have a healing action that is one of the ways to get relief from stress, and their action is well known to ease anxiety and stress. Using these stones may also help the eyes, the lungs, and aid muscular spasms. They have an excellent healing action that may aid high blood pressure and these stones are known to help in the treatment of cancer. They are excellent to use in combination as using any two together will boost both of their vibrations. While any one of these stones are impressive, they are extraordinarily powerful when used together. Any color of this stone will be most beneficial as it will work on all of the chakras from the heart through to the crown chakra and above to the soul star chakra, right up to and including the fourteenth transpersonal chakra. 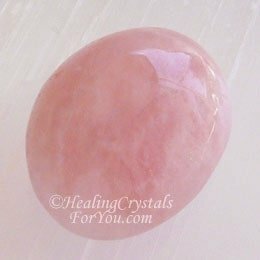 Petalite may be obtained in quite a few colors, but by far the most common color is pink, which makes lovely jewelry, but the clear stone is also very attractive. 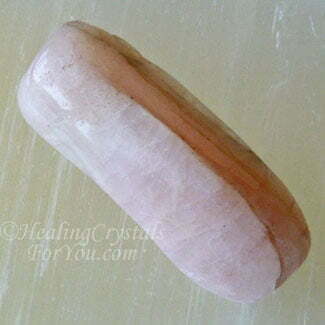 Buying a pendant made from Pink Petalite will allow you to be bathed in its wonderful energy, for hours at a time. 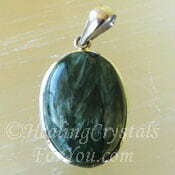 Worn close to the heart chakra it will focus the love energy. 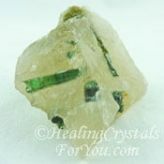 Because this stone works on all of the chakras from the heart chakra up, having it anywhere in those areas may bring through a range of new gifts. 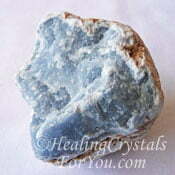 These lovely stones are on the zodiac birthstones list and are a Leo birthstone. 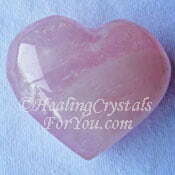 Regardless of the color, it is very advantageous to the heart chakra. 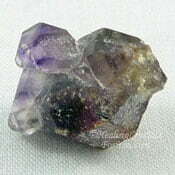 If it is made from a faceted crystal, it would be more powerful as the facets allow the energy to flow in more directions. 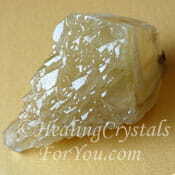 These crystals are well known for their action to boost communication abilities and clear speech. If you wish to boost your spiritual gifts of 'clear speech', wearing one of these beautiful gems at the throat chakra may help you. 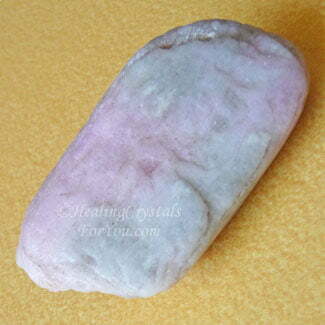 A good way to use this stone is to use it in meditation. 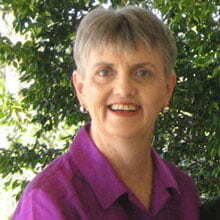 Its energy may also help you to hear the voices of the angels that communicating with you. 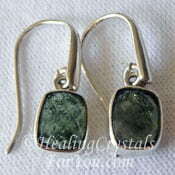 Wearing these stones in ear-rings may boost clairaudience, also known as psychic hearing. You may also find yourself being able communicate what you have seen and heard during your journey to the angelic realms, clearly, accurately and concisely. 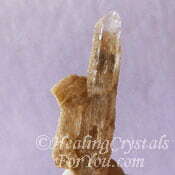 Regular daily meditation with crystals of any type may be benefit you. 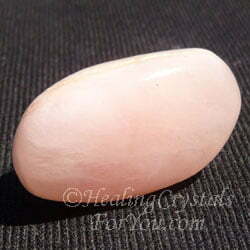 Most people find using this pink stone is highly advantageous. 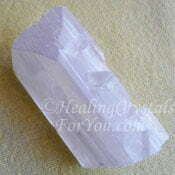 Petalite has excellent metaphysical qualities that will help you to make contact with your guides and the angelic realm. 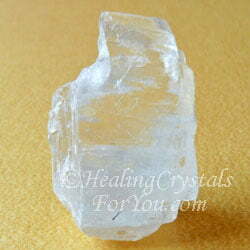 It is a crystal of strong purpose but the end result needs to be kept in mind. 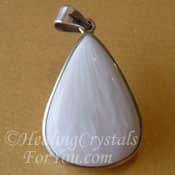 It is a stone that will pick up the thoughts of the wearer and assist in the manifestation of it. 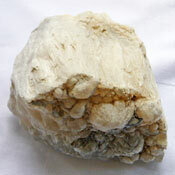 But the old adage 'be careful of what you wish for', is very apparent when using Petalite. 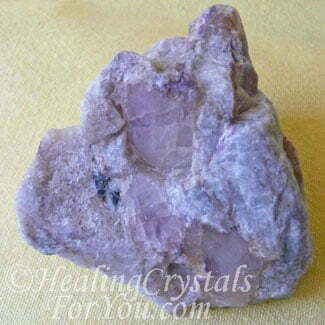 If you are working to expand your clairvoyant gifts or other psychic abilities, you should obtain one of these crystals, as they have a strong, high vibration and good crystal energy. You may experience an increase in psychic visions when using one of these crystals, and this includes when you use a Petalite skull, like the one below. 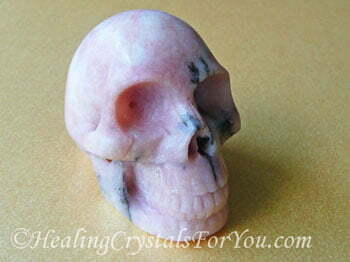 This is Marvin... my Pink Petalite Skull, he has gorgeous energy! As you can see it is possible to get crystal skulls made from this stone. Using your crystal skull to do a crystal skull meditation is an excellent way to utilize it. Although they are not common, their strong energy to aid connections with the higher realms makes skulls made from this stone helpful for meditation. Psychic powers that may develop include clairsentience also known as clear feeling, clairaudience, telepathic ability and a number of other psychic communication abilities. This may aid you to elevate your abilities, and it may help to gently assist you to open your heart. 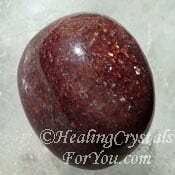 This is a strong third eye chakra stone, that may stimulate the birth of a range of psychic gifts. 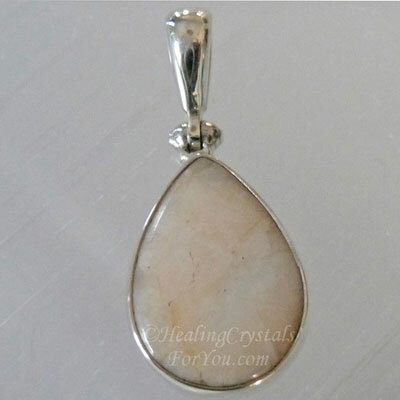 The addition of the high vibration energy of these stones adds to your ability to make connections, and as it is also protective, which is an added advantage. 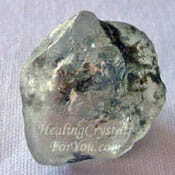 This gorgeous crystal may assist you to be able to more readily access the Higher Realms, and make contact with spirit. They resonate strongly within the higher chakras boosting psychic abilities such as clairaudience, clairsentience, clairvoyance and telepathic gifts. 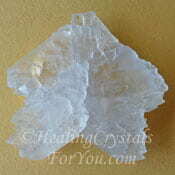 Castorite is another name for clear Petalite crystal. 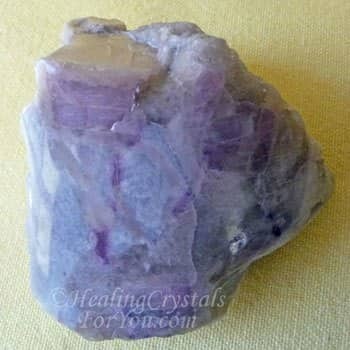 This is a crystal that has a lovely vibration, and it is excellent to use in mediation to aid you with connecting to angelic beings. 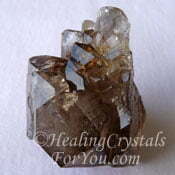 They will protect you from negativity, while helping to smoothly and easily heighten and increase your awareness. 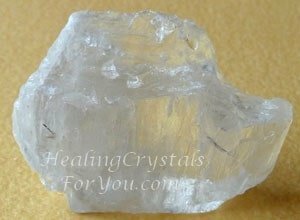 These clear crystal stones are useful to use during meditation and their action at the third eye chakra may assist you to develop psychic gifts. "Faith is believing... when it is beyond the power of reason to believe" Voltaire. 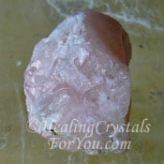 Pink Petalite is a powerful high vibration stone, so one of the best ways to use it is to combine it with the other high crystal energy stones. Petalite combined with any of the other high vibration crystals, will bring you to an entirely new point in your spiritual development. Yet they have a wonderful ability to also keep you protected and spiritually grounded. 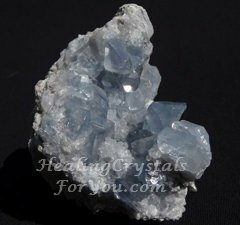 The main stones that make up the group of high vibration stones that you may like to use together are Elestial Quartz, Satyaloka Quartz, Scolecite Crystals, Natrolite, Danburite, Selenite, Darwinite, Stellar Beam Calcite, Moldavite and Herderite, see picture of the rare Blue Herderite below. 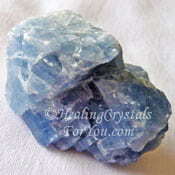 One of the high crystal energy stones that you might use with this crystal, is a lovely Blue Celestite Crystal. 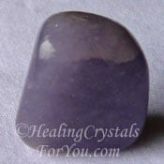 Used with Celestite, this combination is very powerful to aid you to make connect with the angels, including your guardian angels and other beings from the higher spiritual realms. 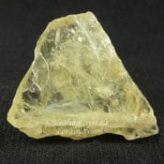 Other crystals that may also be used with this stone to connect with the angels, includes Cryolite Crystals, Angel Phantom Quartz, aka Amphibole Quartz, Tremolite, Angelite, Seraphinite or Aragonite Star Clusters. 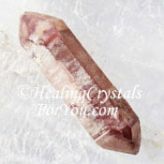 The pink variety of this stone can be faceted to create beautiful pink gemstones, and its energy is particularly amplified when you combine it with Rose Quartz Crystals. 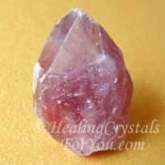 To elevate the positive feelings of peace, harmony and joy, use it with crystals such as Ajoite, either Pink Tourmaline or Green Tourmaline, Lepidocrocite, Lithium Quartz, Amblygonite, Lilac Lepidolite or Morganite. 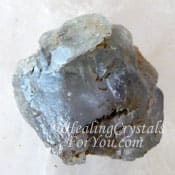 To boost your ability to develop telepathic ability, you may like to combine this stone with crystals that assist you to amplify this capability. 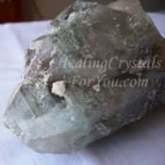 Crystals such as Phenacite, Rhodizite, Amethyst Cacoxenite, Blue Calcite, Eudialyte, Blue Kyanite, Natrolite, the red mica known as Muscovite, White Selenite or Ulexite aka TV stone may help you.